If you do one thing this week, month, or year, you MUST make this kale pesto I am about to share. 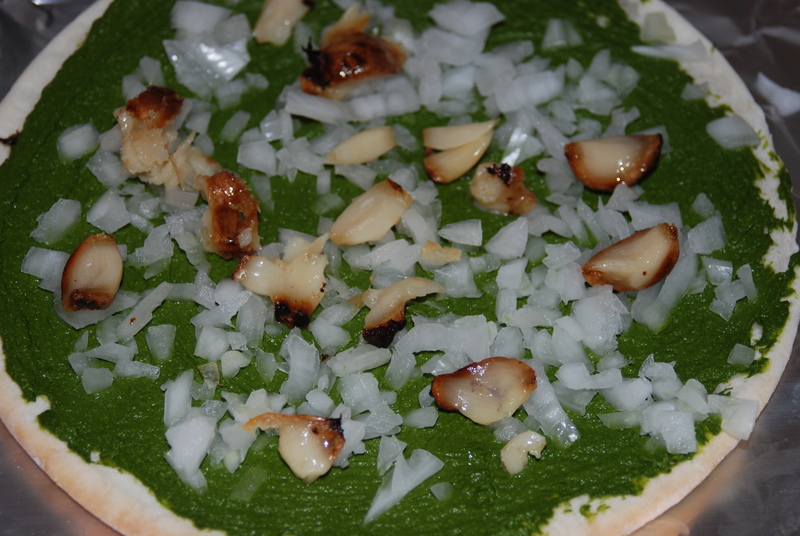 You must also use this kale pesto to make a Kale Pesto & Roasted Garlic Pizza. You DON’T have to share the pizza. If you want to make it today in honor of Meatless Monday, that’s rad… go for it!! As far as I’m concerned, I could eat this stuff 7 days a week. Introducing the most epic veg-friendly meal I have had in a long time…. 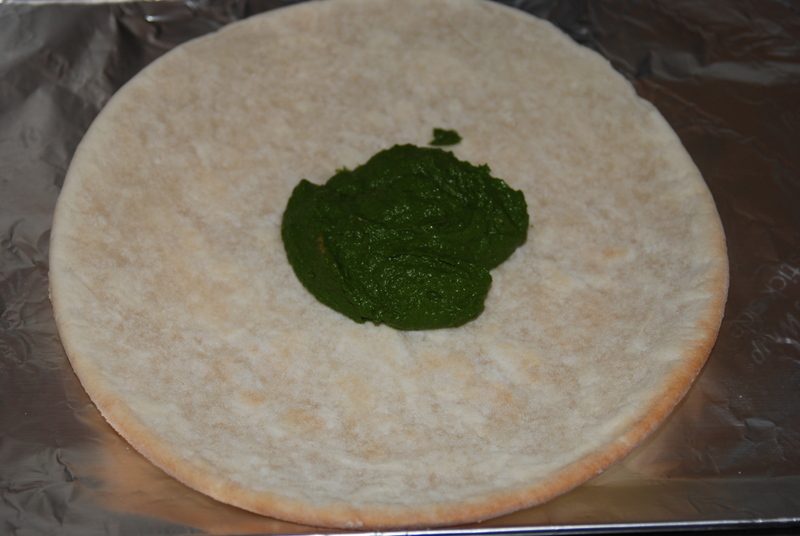 Vegan, gluten-free, dairy-free, and made with two leafy greens! 1. 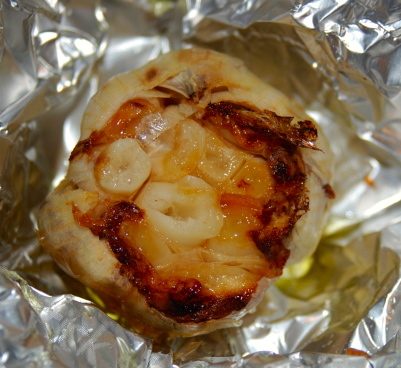 Roast 2-3 bulbs of garlic in the oven. Read this great article for a how-to. 2. In a large pot of salted, boiling water, blanch 4 cups (268 g) of kale for 4 minutes. 3. Shock in a bowl filled with ice and water; strain. 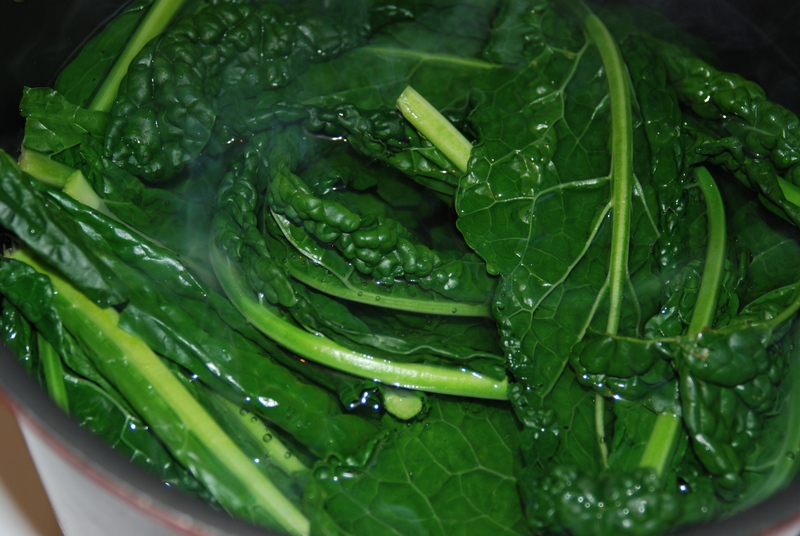 Once water has drained away, press out as much water as possible, leaving 1/2 cup of blanched kale. 4. Place all ingredients into the Vitamix container in the order listed and secure lid. 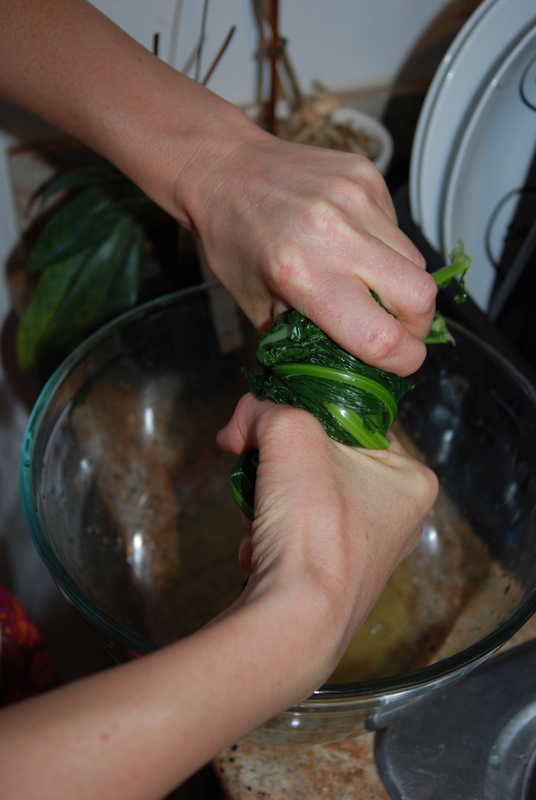 If you don’t have a high-powered blender, you can use a large food processor. 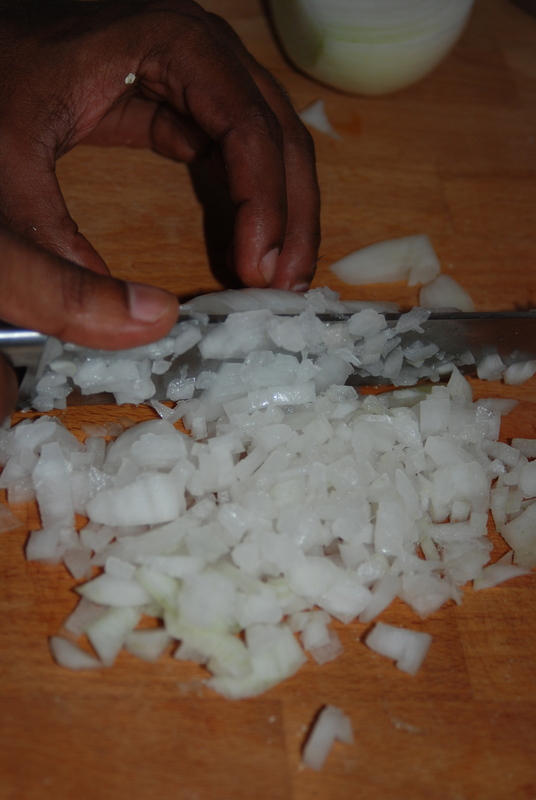 Using the On/Off switch to quickly pulse 15-20 times, using the tamper to press the ingredients into the blades. 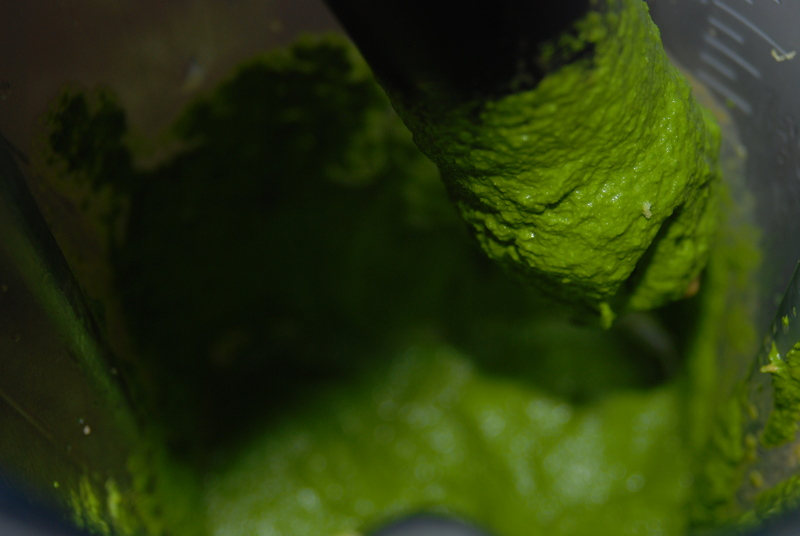 If you are using a food processor, you may need to pulse the machine a few more times & stop to scrape down the sides of the container, until smooth pesto texture is achieved. 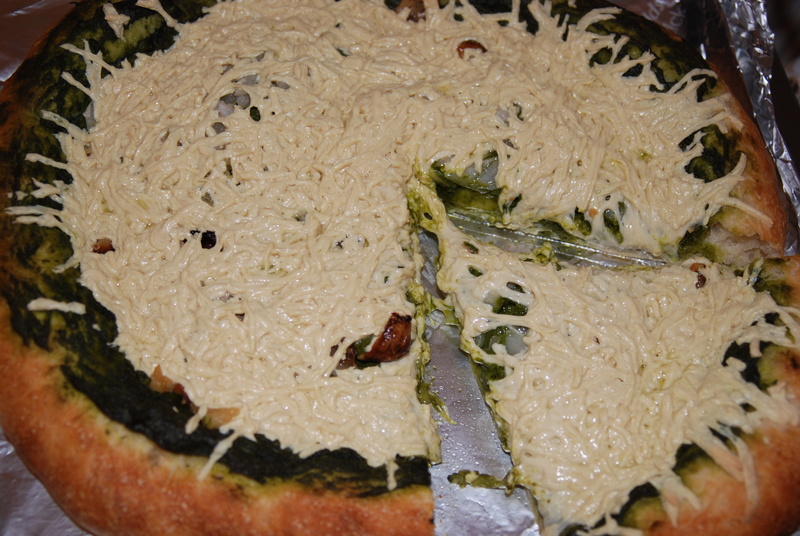 Get your green goodness in a slice half the pie!! 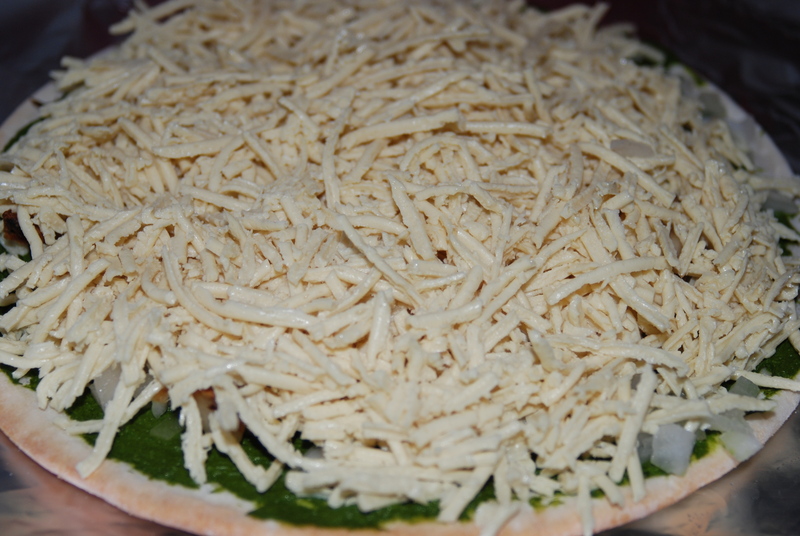 Have you ever had kale on/in your pizza? Do you ever eat “meatless” on Monday? Great recipe! Will need to try this out. wow! this pizza looks amazing! 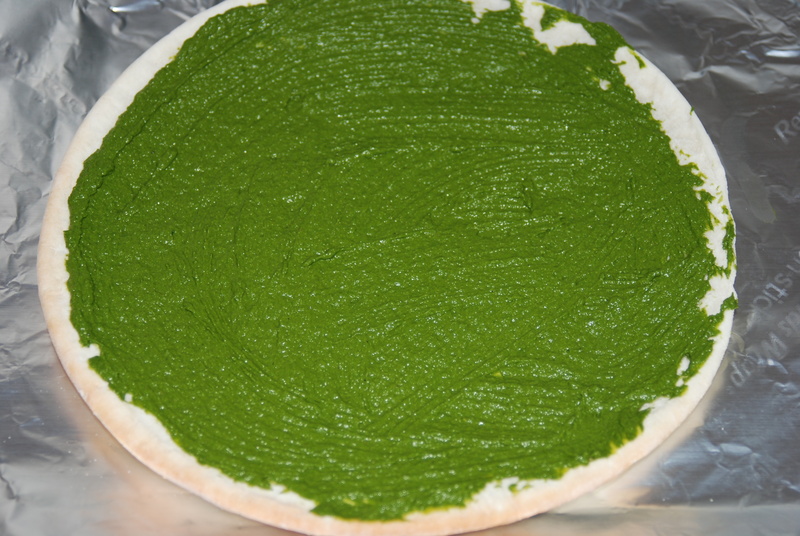 i love how green the kale paste gets….beautiful! i am on the road for the next few months but when i get my hands back on an oven…i’m making this! So glad you’re excited to try it! It really is delicious and I love how neon green the kale gets too! Something I just thought of is to make a few bathes of this to freeze… Then you could just thaw it the morning before and have a quick meal! P.S. 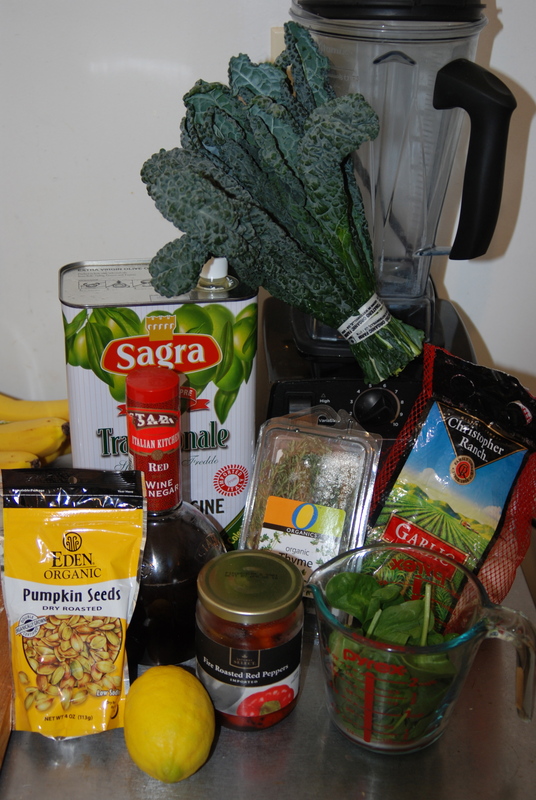 I am AMAZED by how well your Vitamix pulverized that kale. Looks bomb diggity. Then you put it all in your Vitamix, right? ?